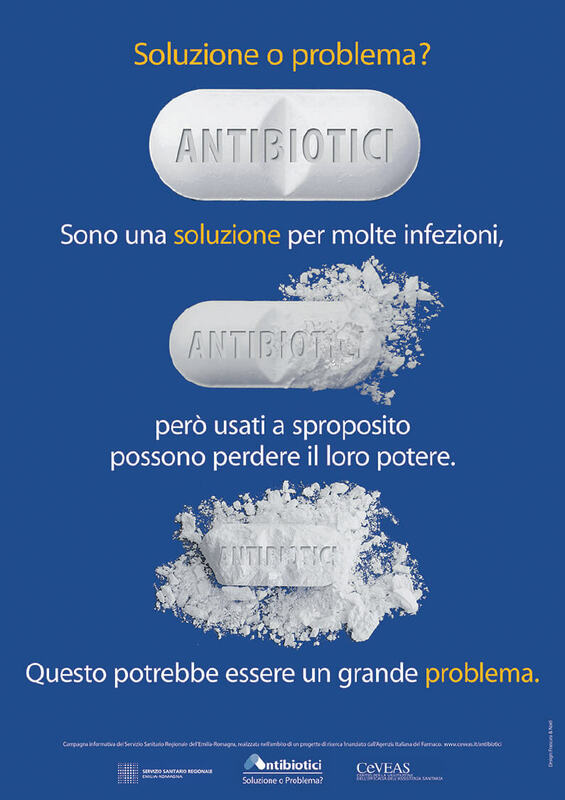 The Agency needed a campaign to reduce antibiotics abuse. Some problems encountered were: a lack of population’s knowledge about when antibiotics were necessary, omitting doses, interrupting therapy before completion, inadequate intervals between doses, and patient pressuring doctors to prescribe antibiotics. In response, we created four communication tools: two posters, one tabloid-sized and another double-tabloid; a three panel brochure and another pocket-sized. 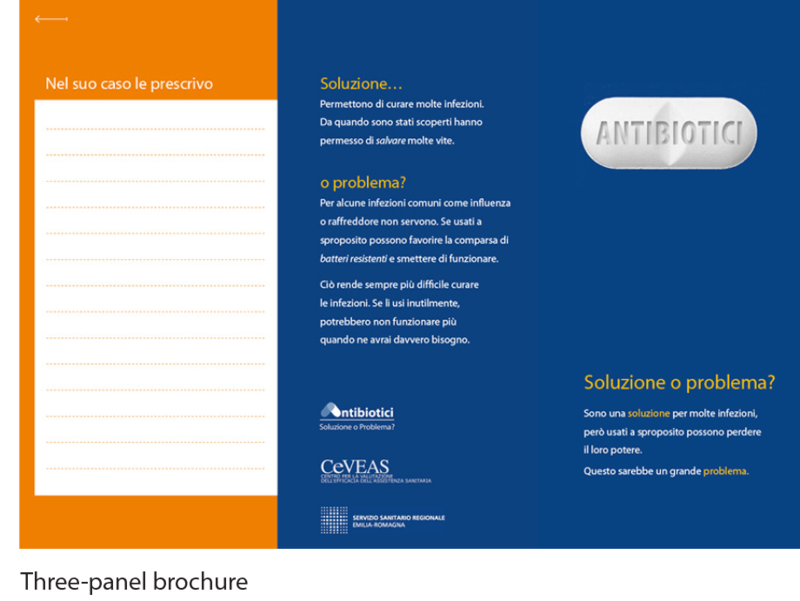 The main tool was the three panel brochure that facilitated doctor-patient communication. 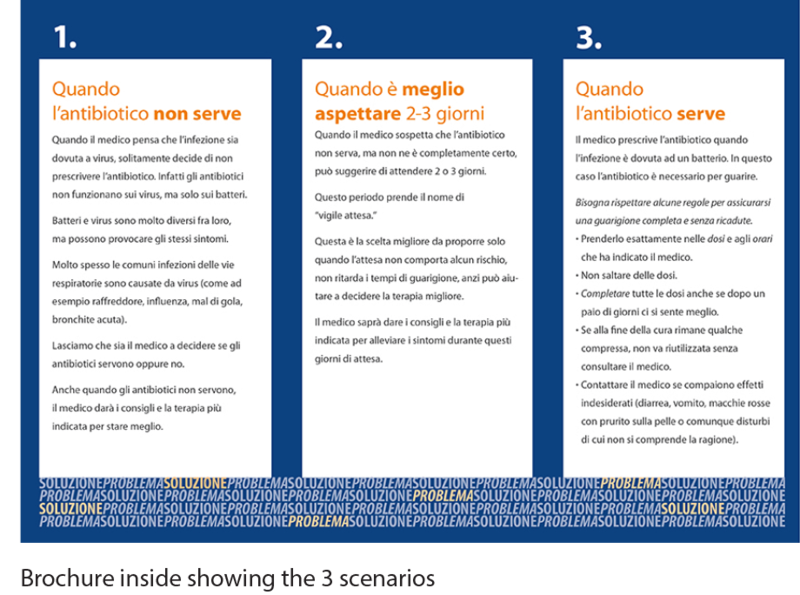 The brochure presented three scenarios: when antibiotics were necessary, when it was necessary to wait, and when antibiotics were not necessary. It also explained how to take antibiotics properly and had an area for the doctor to write prescriptions, recommendations, reminders and explanations. 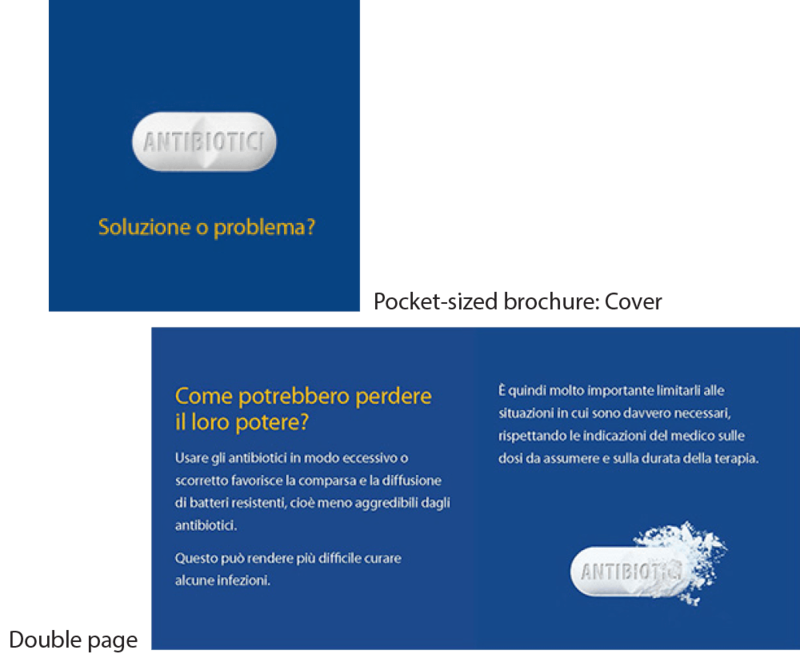 The pocket-sized brochure described the correct use of antibiotics. It was designed for waiting rooms. The posters were placed in pharmacies, hospitals, and waiting rooms. 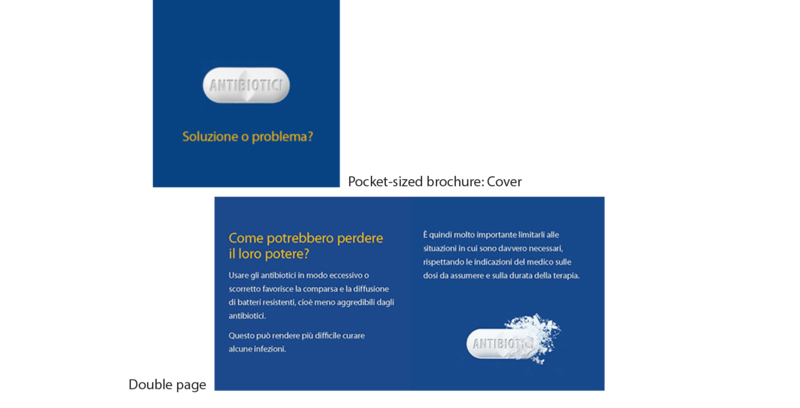 The 3-month campaign resulted in an 11.9% reduction of antibiotics use in the intervention area, as opposed to a 7.4% in the control area, and 3.2% in the rest of Italy.